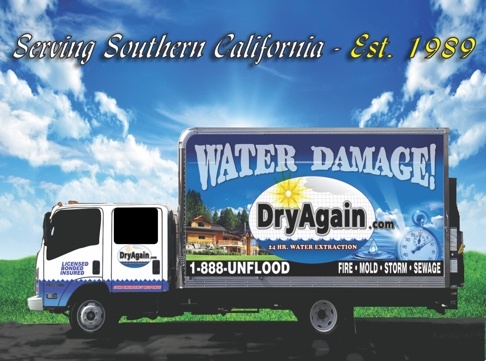 At DryAgain Water, Mold and Fire Restoration Services we are available day and night for all of your mold remediation issues…big or small! Our Jurupa Valley mold inspection services include the following: a complete mold inspection of the affected home, air purification, mold removal and any repairs caused by mold damage. We will also determine the source of the mold damage so we can fix it, clean it up, and prevent it from happening again. Our courteous staff has seen it all and is sensitive to these issues. We treat all of our clients with the respect they deserve because we know mold issues can happen before your eyes and without your knowledge. DryAgain Water, Mold and Fire Restoration Services’s mold inspection representatives will also return to make sure mold growth has ceased after restoration. All of our equipment is top-of-the-line. We guaranteed to make your home mold-free. And – all estimates are free! Call us today at (909) 337-7900 for your free estimate. We look forward to hearing from you!